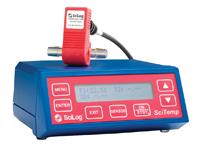 ￼SciLog sensors are the only pre-calibrated single use sensors with a gamma-stable memory device that stores data of all calibration and sensor specific information. There are currently 3 single-use sensors available in the range which monitor pressure, conductivity and temperature. These high precision single use sensors are in a compact and disposable package and are competitively priced. 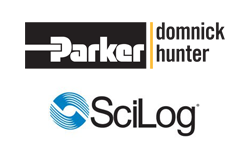 Each sensor is delivered pre-programmed and barcoded with a unique ID for easy traceability and data documentation when combined with the SciLog SciDoc software. Factory calibration data is also stored on each sensor's chip for out-of-the-box, plug and play use. These single use sensors come in 5 sizes to fit a variety of tubing sizes. Talk to us today, to discuss how single-use sensors can benefit you and your process in more detail. 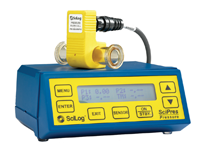 SciPres® – Single-Use Pressure Sensor – The SciPres single use sensor combines pressure sensing capabilities and the convenience of disposability with easy setup. SciCon® – Single-Use Conductivity Sensor – The SciCon single use sensor combines temperature sensing capabilities with conductivity sensing capabilities in a compact, disposable, single-use package at a low price point. SciTemp® – Single-Use Temperature Sensor – The SciTemp single use sensor provides high precision temperature sensing capabilities in a compact, disposable package at a low price point.